VeryPDF PDF Scanner SDK for iOS (Mobile Scanner Framework) turns your iPhone into a full-featured and powerful scanner for documents, receipts, books, photos, whiteboards, and other text. Using just your iPhone or iPad, you can quickly scan your multipage documents in high quality PDFs, edit, store and send them anywhere. 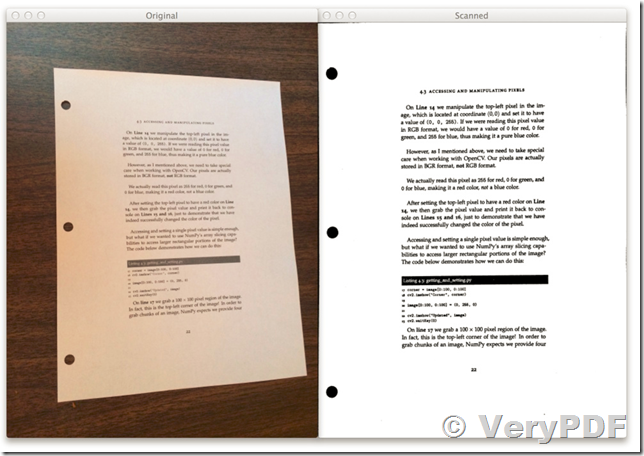 VeryPDF PDF Scanner SDK for iOS (Mobile Scanner Framework) uses advanced fast algorithms to accurately auto-detect document edges, straighten the documents (correct perspective), eliminate shadows and set a perfect contrast for text - black on white. 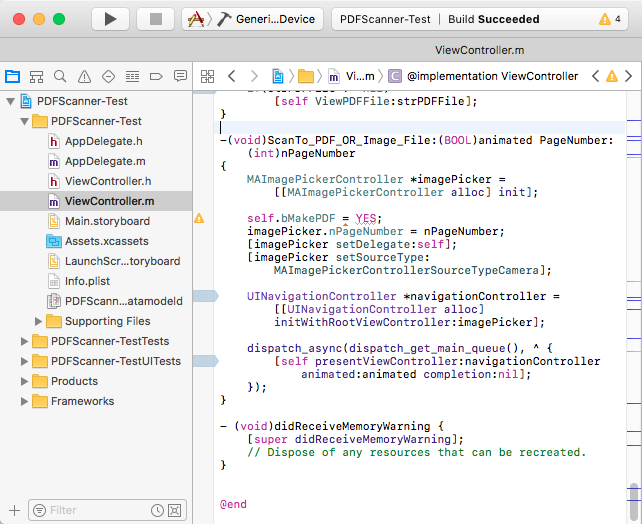 VeryPDF PDF Scanner SDK for iOS (Mobile Scanner Framework) boasts a powerful yet easy to use interface. Get instant one-tap brightness, rotation and color controls all on one screen! Our scanner technology includes smart page detection, perspective correction and image enhancement. 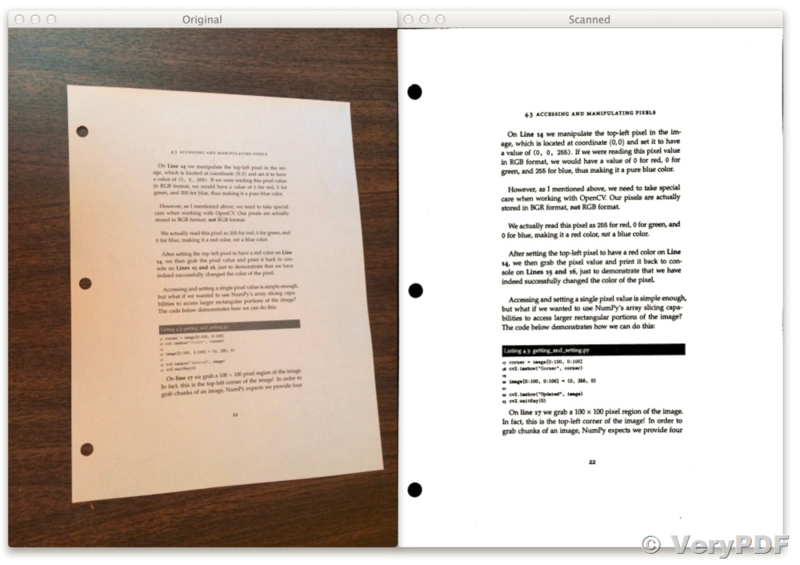 The batch scanning lets you scan dozens of pages in a matter of seconds. 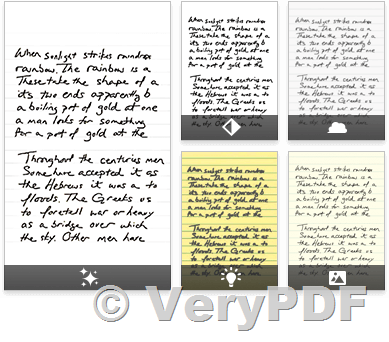 VeryPDF PDF Scanner SDK for iOS enables your application to automatically detect page borders and smartly remove background. 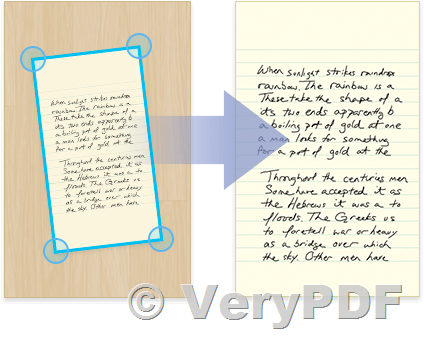 VeryPDF PDF Scanner SDK for iOS enables your application to enhance your image with up to more modes to make the contents clearer and more readable. With our mobile scanning solution you can scan any desired document with your mobile phone. With our mobile scanning solution, we turn your mobile phone into an office tool that you can use to scan documents. 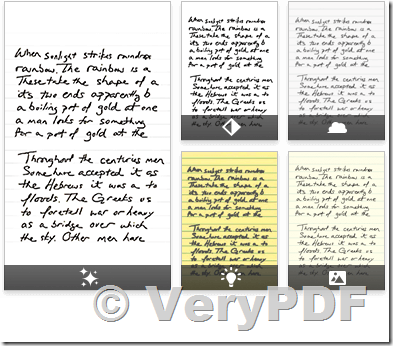 Best PDF Scanner app for iOS (iPhone and iPad). Turn your iPhone into a document scanner. Best receipt scanner. This entry was posted in iOS & iPhone & iPad, VeryPDF SDK & COM and tagged iphone scanner, mobile capture, mobile scanner, pdf scanner. Bookmark the permalink.